Let me tell you a story about browser market share. It is going to be rainy and slightly depressing but no monsters. Well, maybe one. Imagine Internet as very rainy world. Where people have to take their umbrellas to visit their favorite coffee-shops (sites). Everyone has an umbrella but there are few different brands. 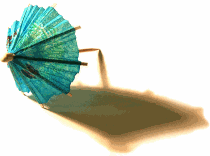 Internet Explorer is blue umbrella. Everyone has one and people are used to them. Can be newer or older but still staple. Firefox is teenager orange umbrella. It is really bright and with plenty of hooks for placing cool colorful patches on it. Opera is red umbrella. It is stylish in plain way and not widely advertised. People with these really like them. Company never made any umbrellas and no one is sure they are even good at it. Umbrella itself looks rough, is heavy and has few holes. But some of coffee-shops are inspired. It’s Very Big Company, right? They make huge banners promoting new umbrella. People look at those and decide to use umbrellas a bit. Just to try. Coffee shops are overjoyed. They guessed right – new umbrella must be awesome if people are so fast to use it. They put up even more banners and announce that new umbrella is the umbrella. It is going to take over the rainy world. – Hey, they say that new umbrella is going to kill the ones we were using for years… Bit stupid. Homework – find a monster in the story. Hey, it’s very cool way to tell people that Chrome not that good and i agree with you because for installing it in my Country (Indonesia) it’s really difficult. Nb: I Like the way you post. It’s not that Chrome is bad. But it is so beta-version. But because of Google slapped on it – it is not treated as such. wow, thats nice. i never thought of comparing browsers to umbrellas.good thinking, thanks. Glad you liked my analogy, jigs. :) Walking away from usual words can greatly simplify thoughts at times. worked out: Chrome has somewhere around a 3% marketshare. bag, and wash up in a nearby stream. of the consumer desktop market ! So, maybe, Opera’s 2% ain’t all that bad. I don’t freaking care about market share. It’s mostly statistics lies and it hardly matters as for me.